Prominent & Leading Manufacturer from Mumbai, we offer polythene bags and pp polythene bags. We are the well-known manufacturer, wholesaler and supplier of a wide array of Polythene Bags. Offered polythene bags are acclaimed in the market for its strength. These polythene bags are manufactured by our skilled workforce using optimum quality material and latest machines keeping in mind the norms of market standards. We are providing these polythene bags in various customized options and at market prices. To meet diverse requirements of our valued clients, we are engaged in offering an excellent range of PP Polythene Bags. We provide a comprehensive range of polythene bags, which are provided with exclusive loop handles. 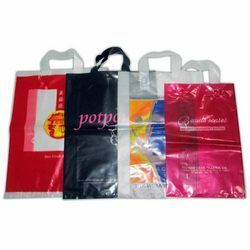 We offer these polythene bags in attractive designs and provide wide choice to choose upon. 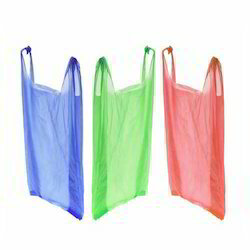 These offered polythene bags are providing with good-looking as well as convenient in carriage. These offered polythene bags have high performance and storage life. Our offered polythene bags are available in diverse sizes and shapes as per the demand of the competitive market.